Wreaths are traditionally associated with the holiday season. However, wreaths make beautiful additions to the decor and are an elegant way to lead your guests to your celebration. 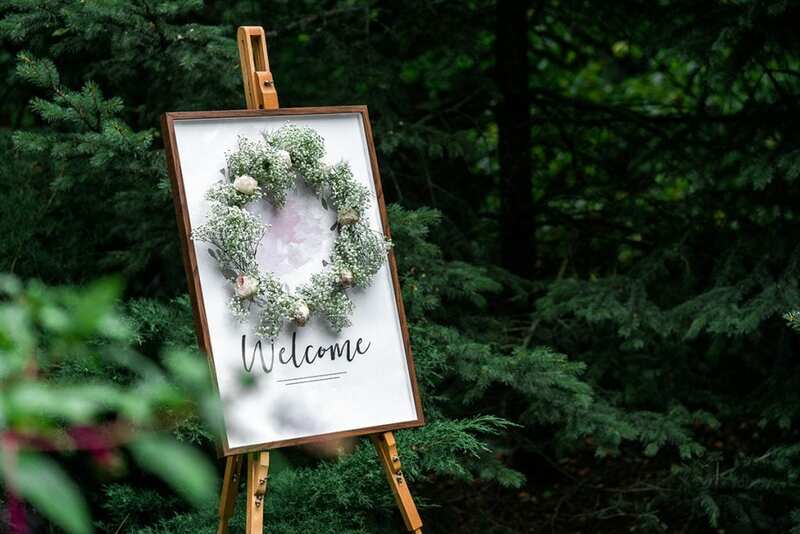 One popular trend this year is enclosing a traditional welcome sign in a floral wreath. This trend will take your greeting to the next level. Some couples are also turning to monogrammed wreaths as a decoration for entrance doors. Customizing wreaths provides endless choices with the diversity of flowers, greenery, and accents. When you stand on the beach at The Crescent Beach Club you already feel like you’re in paradise. Play off that theme with one of this year’s trendiest arch designs: floral lei curtains and hangings. Cascading down from your arch, beachside or indoors, this beautiful display of romance and elegance will have guests in awe. 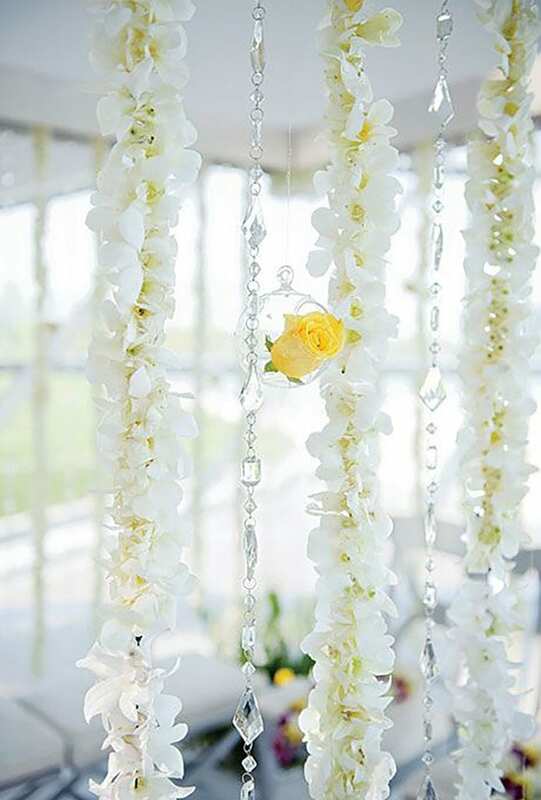 You could also hang these strips of flowers down from fixtures above guest tables in the ballroom or in entrance ways. Like wreaths, these hangings are customizable. They can be made with any flower that matches your color palette and other floral choices. Believe it or not, these foresty, flowerless plants are said to be highly requested for floral garlands – a trend in itself. The moss is often the base and other flowers and ferns are added. At a beachfront destination venue, the moss may bring to mind the canopies of tropical rainforests. They can be hung on outdoor and indoor arches or on ceiling fixtures (interior or within tents). 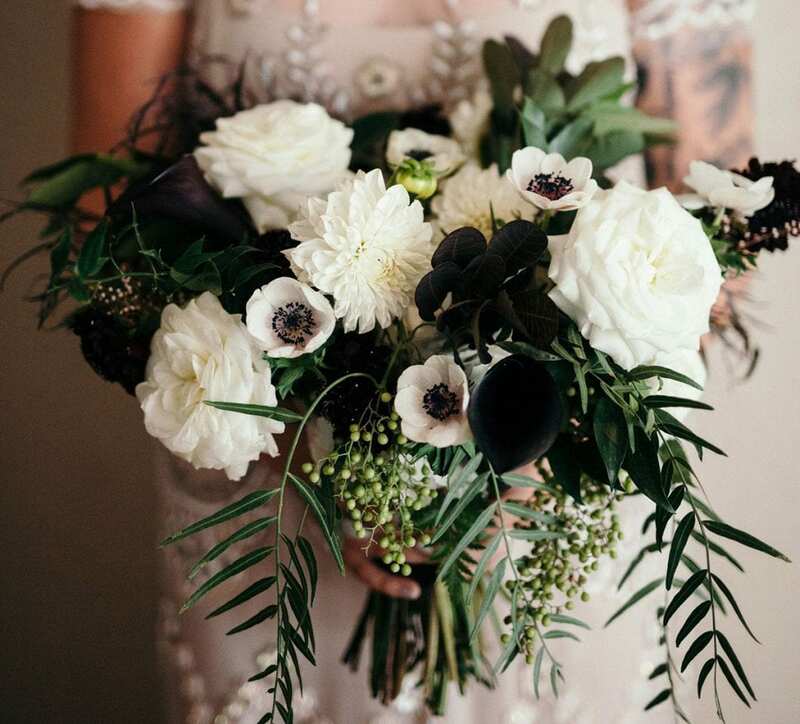 You can coordinate with your florist and your stylist to come up with the perfect look to incorporate flowers and ferns in your wedding-do. 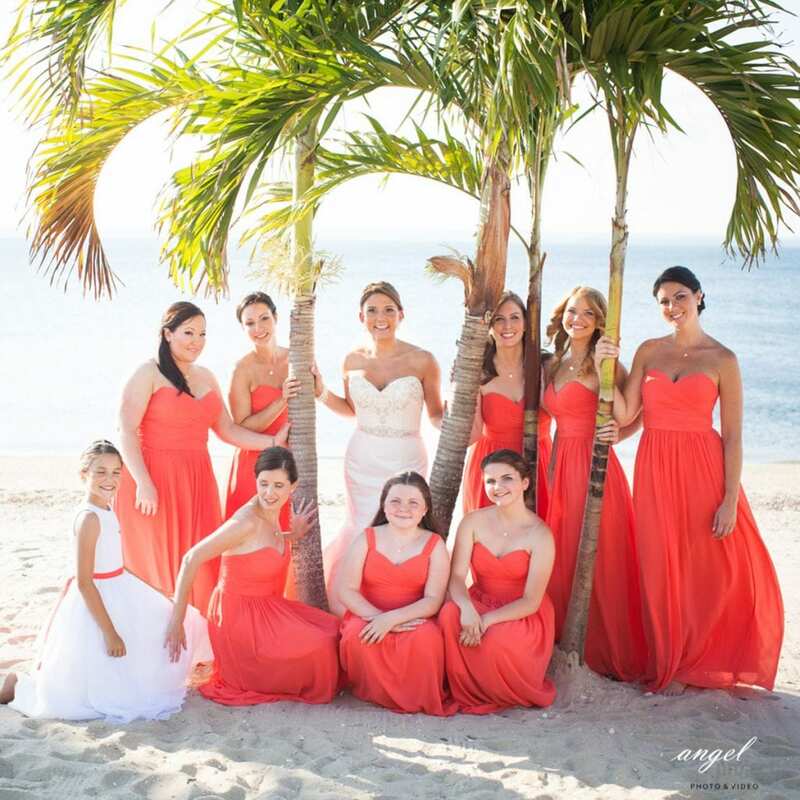 As a beachfront wedding destination, providing tropical plants and flowers is part of The Crescent Beach Club’s mission. From the real palm trees shipped in every May to the tropical ferns incorporated throughout the venue, our venue is already on trend. Many guests utilize additional tropical plants and flowers on their arches, centerpieces, and ceiling decor. 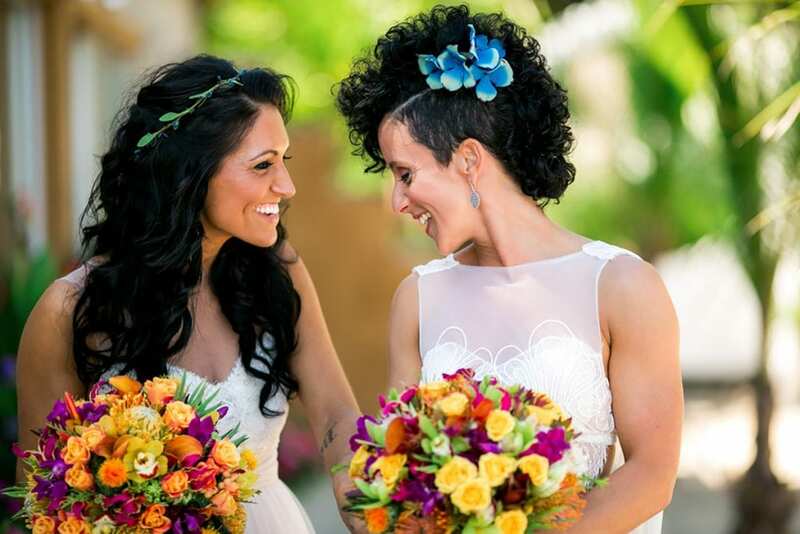 When it comes to tropical wedding floral design, we’re already experts.